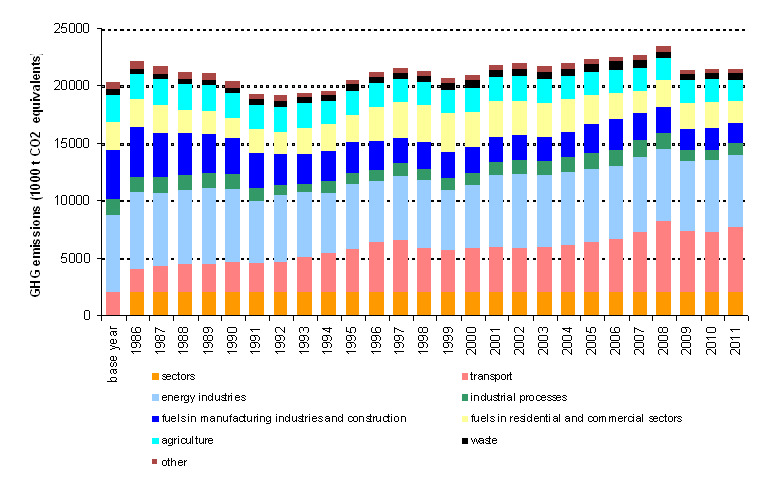 Greenhouse gas emissions in 2011 (compared to 2010) in most European countries decreased by 3.3% and by 4.2% in the EU-15, while in Slovenia were 0.1% higher . The main reason for lower emissions in the EU is lower fuel consumption for electricity and heat production due to the modernization of boilers and milder winters. mild winter has affected the lower emissions in commercial and domestic sectors. The increase in emissions in Slovenia was mainly due to transport emissions have increased by as much as 8.2% compared to 2010. The base year (1986) they are higher by as much as 190%. The most recent data for the year 2011 (19.509 ekvivalneta Gg CO2) Slovenia exceeds the permissible value of the post-Kyoto emissions (18,726 kilotonnes of eq. CO2), but aims to achieve the Kyoto target by introducing sinks (amounting to 1,320 kilotonnes of CO2 per year). 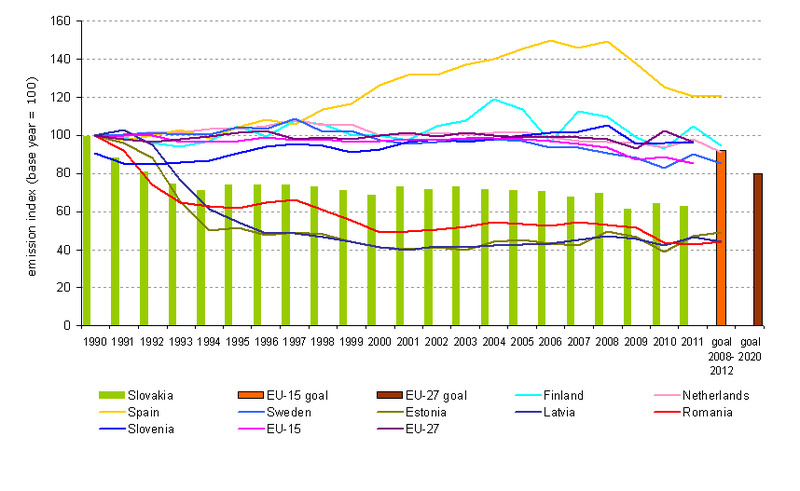 The indicator shows the trend in greenhouse gas emissions, the main sources of emisssions in Slovenia and comparison with the countries of the European Union (EU-27). Greenhouse gas data viewer, European Environment Agency, 2012; Greenhouse gas database, Slovenian Environment Agency, April 2013. 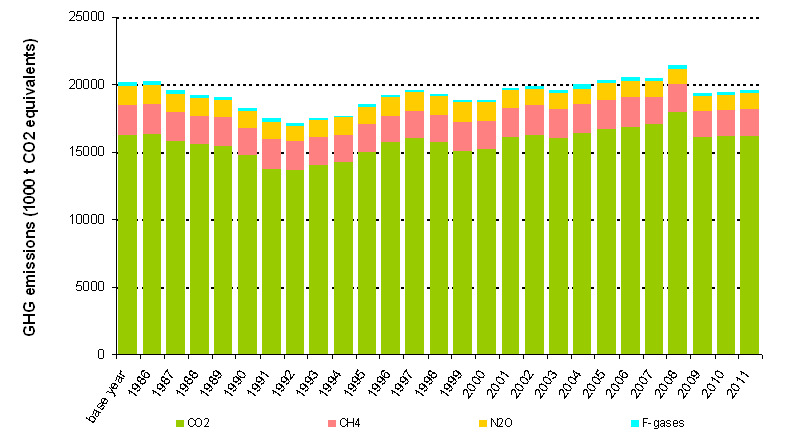 Greenhouse gas database, Slovenian Environment Agency 2013, April 2013. Greenhouse gas database, Slovenian Environment Agency, April 2013.